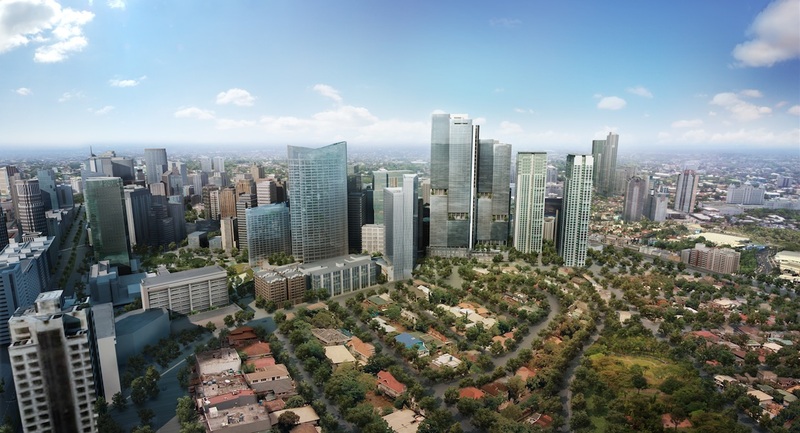 Ayala Land Premier continues to lead the Philippine property market to new heights. Their most ambitious project yet, the two-tower development Park Central Towers has already sold over 80% of its first tower, the South Tower, since it was formally unveiled 9 months ago. Most buyers are end-users who plan to live in their units themselves, proof of the Philippine market’s maturity and rising income levels. The luxury developer now gears up to launch Park Central North Tower, offering 259 additional residences for the country’s most discerning individuals looking to find their home at the very heart of Makati Central Business District, at a once-in-a-lifetime address. The residence elevates iconic design and a singular location with the key elements of luxury—location, space, and choice. Rising within Makati’s financial center, at the intersection of Makati Avenue and Paseo de Roxas and within Roxas Triangle, the exceptional residence, valued at over PHP40 billion is set to reshape the skyline with its iconic design coupled with unique lifestyle offerings. Echoing the shape of Roxas Triangle across the street is Ayala Triangle, sprawled across 65,000 square meters of prime real estate. Home to Ayala Triangle Gardens which offers over 2 hectares of green space for the community, it is set to undergo a redevelopment program within the next few years. 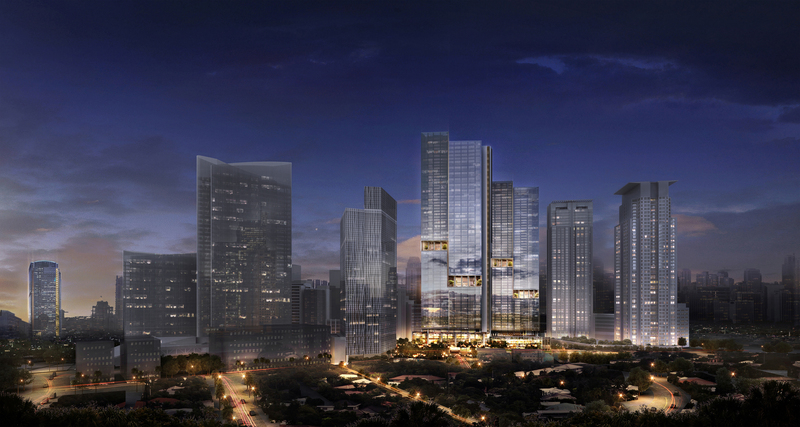 By 2020, the Triangle will be home to Ayala Land’s newest top-grade office building, Tower Two Ayala Triangle Gardens, and the new Mandarin Oriental Hotel. Both structures will sit on a retail podium covering about 8,000 square meters of gross leasable area. “This flagship property is meant to elevate an already stellar location with the best in design and amenities that our brand is known for,” says Mike Jugo, Ayala Land Premier Managing Director. A testament to Asian excellence and expertise, Park Central Towers brings together eminent Filipino architectural firm Leandro V. Locsin & Partners, Singaporean boutique luxury design firm Soo Chan Design Associates (SCDA) and vaunted Japanese design group Studio Taku Shimizu to collaborate on an edifice worthy of its prized address. The towers’ distinctive forms, sheathed in glass, soar within a vast lot stretching across almost 16,000 square meters of some of the country’s most valuable real estate. At over 1.5 hectares, the development’s lot size is three to five times the size of competing developments, affording residents a complete array of living experiences. More than half of the total land area is dedicated to priceless open space that features expansive common areas, lush landscaping, and top-notch amenities. Enlivening the residents’ lifestyles are the multi-faceted aspects of the mixed-use development. Occupying the first three floors of the podium, and surrounding a verdant courtyard is a choice selection of specialty retail and dining options, including the development’s very own supermarket, catering to a resident’s every need. Dominating the third floor is a host of amenities shared by both residential towers. A 700-square-meter multipurpose court could be used as either a junior-sized basketball court, volleyball court, or accommodate three badminton courts. Adjacent to it is a 300-square-meter bi-level fitness center. A resident’s lounge, game room and social hall provide dwellers opportunities for familial, neighborly social activities. A 25-meter lap pool, kiddie pool, and deck are set within the same floor, with views of Urdaneta Village’s lush treetops and Bonifacio Global City’s skyline beyond. Complementing the shared amenities are voluminous, four-storey Sky Terraces that punctuate the facades of each tower at different floors and comprise either a gym, fitness studio, outdoor lounge, or pools. In cosmopolitan Manila where space is at a premium, Park Central Towers has an edge in catering to an increasingly discerning clientele. Most of Ayala Land Premier’s investors currently own several homes and are accustomed to being able to fine-tune their living spaces to their specifications. All residences within the ultra-luxury development are suites with generously cut two-, three- and four-bedroom configurations with areas ranging from 146 to a sprawling 1,354 square meters. This flexibility allows residents a full range of expression to suit their individual preferences. In addition to European-grade fixtures and finishes for all the units, distinctive features set residences at Park Central Towers apart. 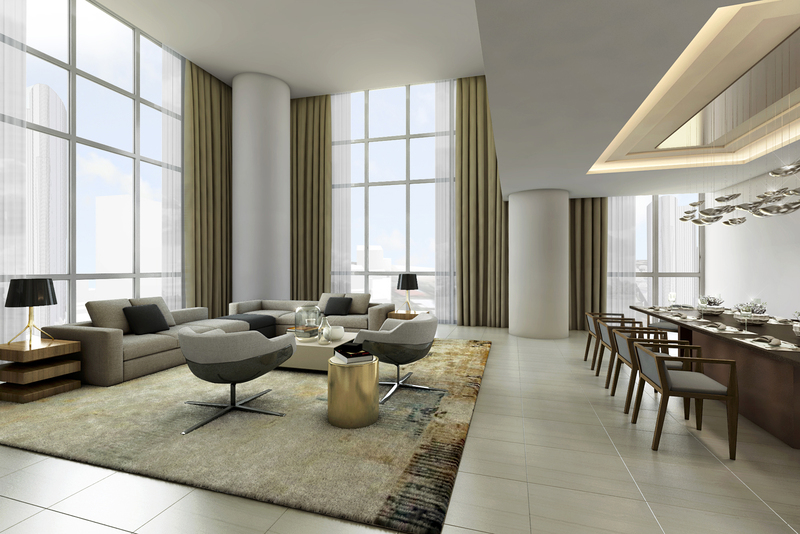 Floor-to-ceiling, wall-to-wall windows inform the living experience within all of Park Central Towers’ units, characterized by open, intuitive, and flexible spaces bathed in natural light. Gallery Villa residents alight from dedicated lifts directly onto their unit’s own private foyer, creating a unique sense of arrival to one’s abode. The personal foyer is an ideal place to showcase prized pieces of art and can accommodate an intimate receiving area for guests. Skyview Villas feature an exceptional living area ennobled by soaring, 5.7-meter floor-to-ceiling heights, allowing maximal levels of light, and endows residents with magnificent views. The same double-volume layout expands the living areas of Park Central Towers’ Aquaview Villas. A whole new dimension of luxury living is exemplified in these unique residences, which contain a private plunge pool and deck, integrating the outdoors with interior spaces. Ayala Land Premier’s confidence in this property is unprecedented, which is understandable for a location and design that are really one of a kind. Nowhere else in Metro Manila will there be such an iconic structure amidst a flourishing urban park, surrounded by world-class dining and shopping, right in the country’s economic center. With the prestige and success already garnered by Park Central Towers and its other impressive developments, Ayala Land Premier leaps way ahead of the pack, at the forefront of the country’s booming luxury property segment. Ayala Land Premier is the luxury residential brand of Ayala Land, the Philippines’ leading developer of sustainable estates offering a diverse mix of quality residential and commercial developments that support local economic growth. There will be a price increase of upt to 3% for all lots in Tranche 1 and 2 effective today September 11, 2017. Consequently, all overdue accounts by this time will be subject to new price.